Dale Steyn is refusing to give up on a place in the South African World Cup squad for next year despite a lack of limited overs cricket. 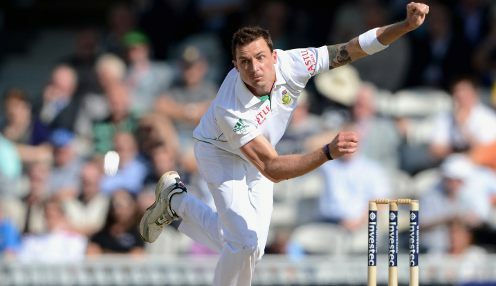 The pace bowler hasn't played a one-day international for South Africa since 2016 and admits that Kasigo Rabada is a better bet on current form, however Steyn insists his experience could be beneficial to the team as they prepare for next year's tournament, being held in the UK. They are all learning as they play but unfortunately you can't go to a World Cup still learning. Steyn has been part of two previous World Cup campaigns and says the team's relative lack of experience in the bowling department could be a factor. He told Reuters: "Our biggest problem in white ball cricket now is our bowling. I don't think it's a massive issue but I think in terms of experience it's our biggest problem. "If you look at our top six batters, those guys have all played 800-plus games. But if you look at our bowling, our bottom four, they have probably played 150 games. "They are all learning as they play but unfortunately you can't go to a World Cup still learning. You need to know what you are doing. "Even at 35 I am still learning but I know what I am doing. These guys need that. I am hoping that's what I can offer in the white ball scene and obviously play and win games for the country." Steyn has played in only 12 ODIs for South Africa since the 2015 World Cup but in total has taken 180 ODI wickets in 116 matches. South Africa have never won the cricket World Cup and are yet to reach a final, heaving been beaten semi-finalists four times. Next year they are 9/1 to win the tournament, England are 9/4 to win their maiden World Cup while current holders Australia are 4/1.